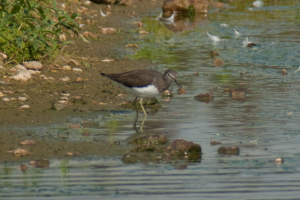 Observation - Green Sandpiper at Rye Meads RSPB - UK and Ireland. Description: Seen fairly regularly at Rye Meads, often in groups of half a dozen or so. Seen fairly regularly at Rye Meads, often in groups of half a dozen or so.